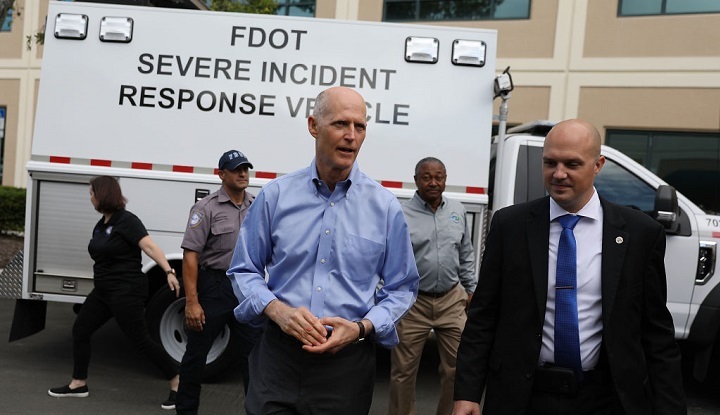 Florida Governor Rick Scott during a visit to the Florida Department of Transportation in August 2018. Photo by Joe Raedle / Getty Images. Florida Gov. Rick Scott and his wife have invested at least $18 million in three financial firms managing money for the state’s pension system that Scott oversees -- a situation that intertwines the governor’s personal finances with his responsibility for supervising state employees’ retirement savings. The investments were first divulged in a federal financial disclosure form that Scott filed as part of his U.S. Senate campaign in July. For most of his time in office, Scott has shielded his investments from public view, and only reported their overall value in his blind trust. The terms of Scott’s investments remain undisclosed. The firms’ own corporate documents say they can give certain investors special preferences not afforded to other investors -- and experts have in recent years argued that hedge funds, private equity firms, and other “alternative investments” are giving such preferences to elite investors. One former Securities and Exchange Commission attorney told MapLight and Capital & Main that Scott must disclose whether he is being given such preferences. Florida ethics laws are supposed to prohibit state officials from entering into contractual relationships with companies that do business with their agencies. However, after Scott became governor in 2011, state ethics officials said he and his family members could put their assets into a blind trust to avoid conflicts of interest and still maintain their investments in companies operating in Florida. Critics have raised questions about how blind the Scott family trusts really are. Scott placed one of his longtime business associates in charge of managing his blind trust. The Tampa Bay Times reported that Scott’s blind trust has invested with a private equity firm tied to a high-speed rail project in Florida. The trust also had an indirect interest in a cancer treatment company that received tax breaks from Scott’s administration. Scott is one of three state officials who serve as trustees for the Florida State Board of Administration, which manages a $160 billion fund for roughly 400,000 retirees. Scott, Attorney General Pam Bondi, and Chief Financial Officer Jimmy Patronis oversee lucrative state investment deals granted to cash-hungry Wall Street firms. The three firms that have received $325 million worth of Florida pension investments have allowed the Scott family’s blind trusts to simultaneously invest their personal fortunes in these funds. Scott’s investments in the funds did not appear in a 2014 disclosure itemizing his holdings. His campaign did not say when the investments were made. “There are no ethics rules that prohibit or limit a trustee from investing in funds also invested in by the SBA,” said SBA spokesperson John Kuczwanski, though he added that trustees are subject to Florida’s general code of ethics. Kuczwanski said that the governor has no involvement in specific pension investment decisions. 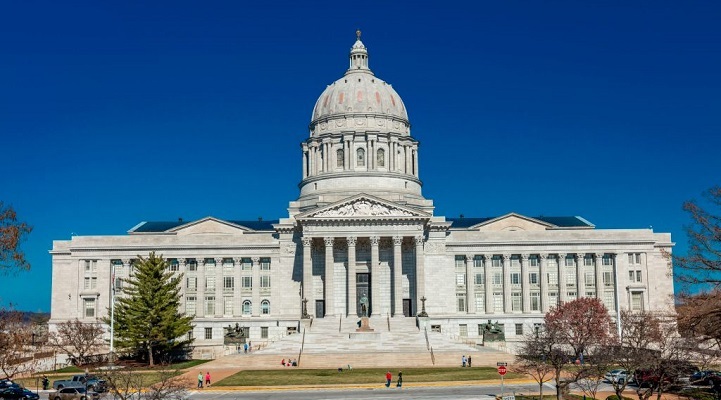 Don Hinkle, a Democratic lawyer, filed a lawsuit last year alleging that the governor has failed to comply with the state’s blind trust and financial disclosure laws. He said he was surprised by the news that Scott had invested in the same firms as the Florida pension system. “I would think that he would have avoided investments where the state of Florida’s money is propping his up,” Hinkle told MapLight and Capital & Main. In 2011, a few months after Scott became governor, the SBA committed $150 million to Highline Capital Partners, a New York-based hedge fund. Scott’s financial disclosure shows that his family’s trusts have invested at least $4 million in the same Highline fund as the state. The SBA also committed $100 million in 2015 to a hedge fund managed by Canyon Capital Advisors, a Los Angeles-based firm created by veterans of the notorious investment bank Drexel Burnham Lambert, which was driven into bankruptcy as a result of illegal and unethical trading practices. Scott and his family have invested at least $12 million in Canyon funds, according to his financial disclosure. Before Scott became governor, the SBA invested $75 million with VSS, a New York-based private equity firm that was launched by a co-founder of Psychology Today. Scott and his wife, Ann, have invested more than $2.2 million in another VSS fund. 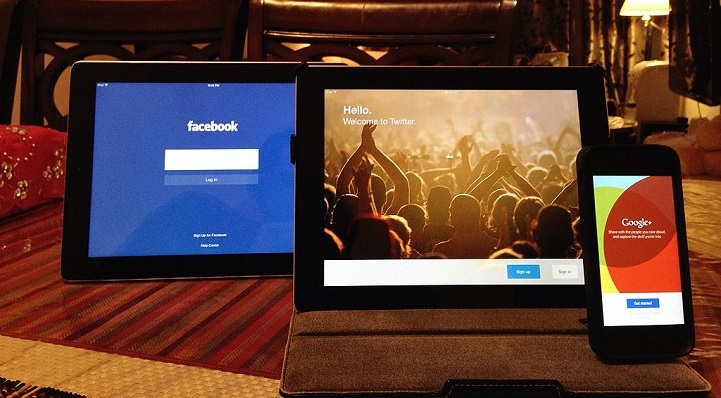 A spokesperson for VSS said the firm doesn’t comment on its investors. All three firms’ SEC filings say they can offer certain investors special fee terms or other benefits not offered to other investors. “Alternative investment funds have the ability to offer every investor different fees at a different rate of return, so the question is whether Rick Scott is being allowed to invest on better terms than the state pension fund,” said former SEC attorney Edward Siedle, whose Florida-based firm conducts forensic investigations of state pension systems. She noted that former Florida Republican Gov. Jeb Bush and Scott’s 2010 Democratic opponent Alex Sink had also used blind trusts, although Scott’s campaign attacked Sink for hers at the time. 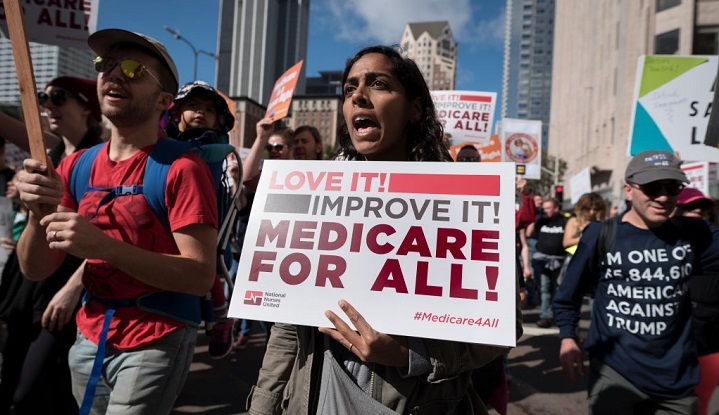 This piece was reported by Andrew Perez of MapLight and David Sirota of Capital & Main and published in partnership with the Florida Center for Investigative Reporting.